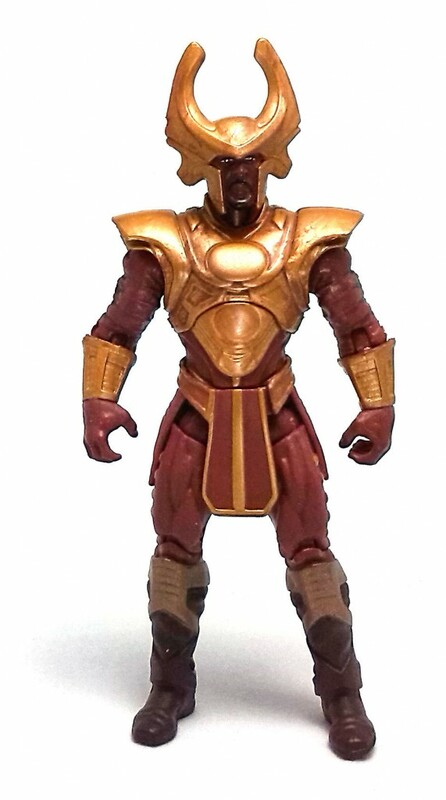 Heimdall has a rather distinctive character design. The armor seems designed to be more ceremonial than utilitarian, and the overall appearance is not quite as Asgardian as one would expect. The armor plates are mostly smooth and curved, with geometric patterns and lines sculpted in for decoration. The clothes under the plate mail also have a fair amount of details sculpted on them, even though none of that is particularly noteworthy. • Ball jointed neck. Which works only as a regular swivel, by the way. 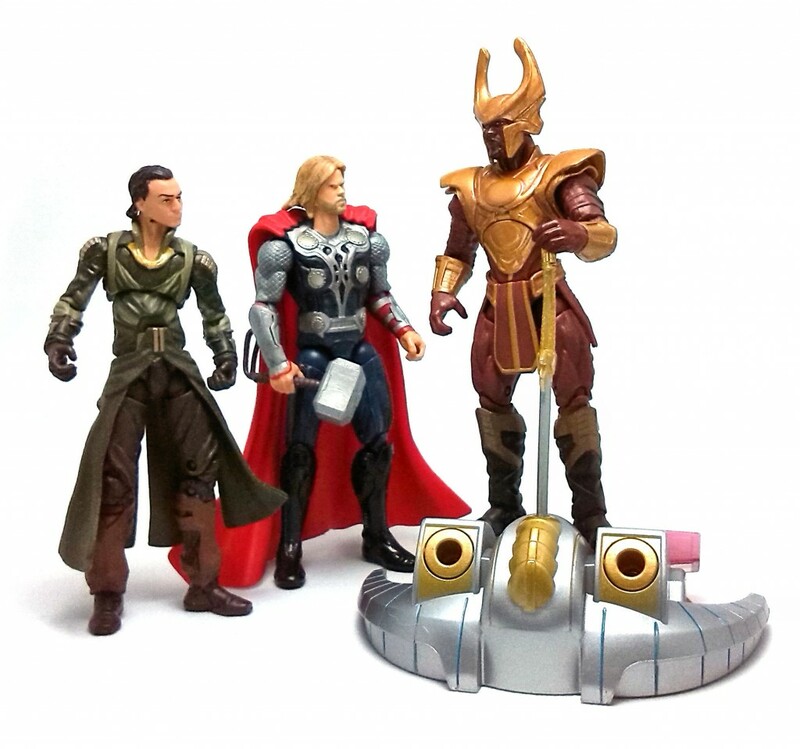 This is far below the usual articulation we got from other figures in the Thor line, even though it is comparable to what can be found on several of the figures from the current Avengers Assemble line. As a whole, I think it is a very disappointing articulation design, although I grudgingly concede that it is still possible to squeeze some fun out of Heimdall if you set your mind to it. 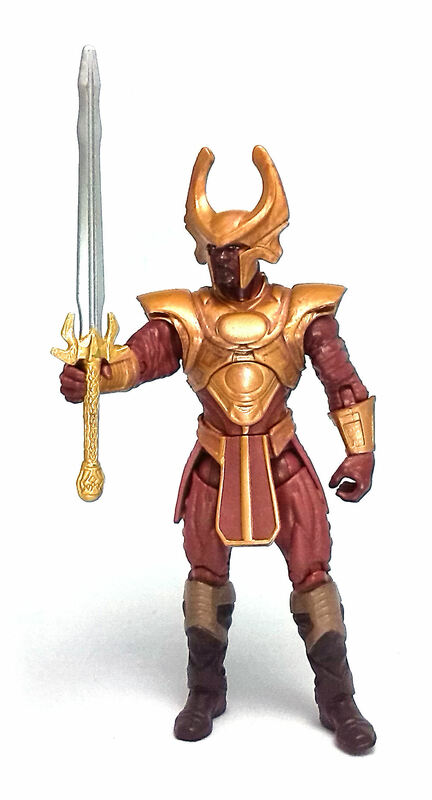 The color palette on Heimdall is surprisingly dull. The entire figure was molded in brown plastic, with the armor pieces painted in a golden/bronze color. The exposed skin areas were painted in a shade of brown slightly darker than the color of the clothes and the boots were painted in a very dark brown hue. 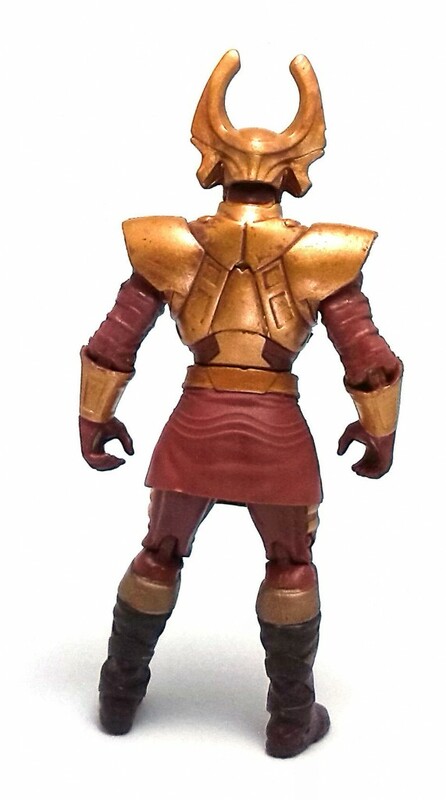 Even though the paint applications are actually quite neat and the gold paint used is actually quite rich and vibrant, there is simply too much brown going on in this figure. 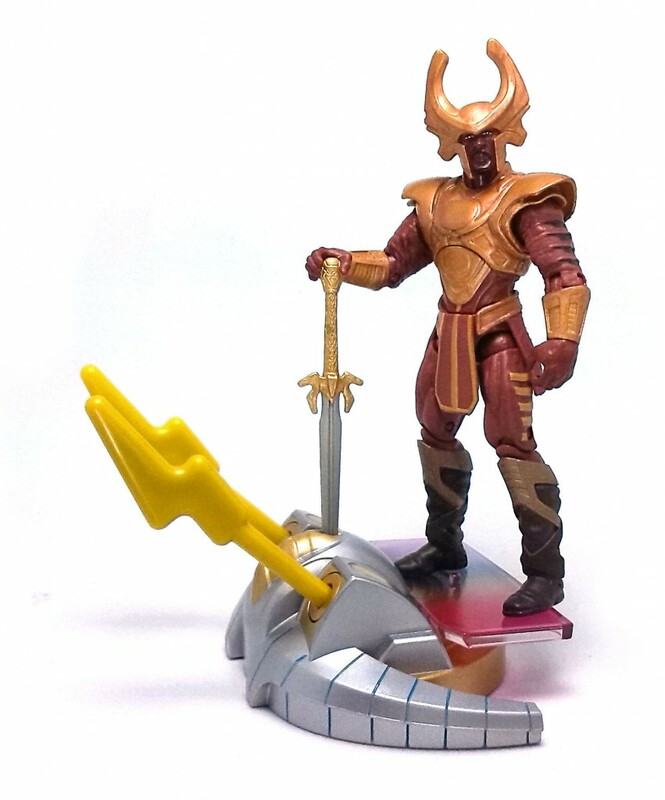 Being from a Deluxe set, Heimdall comes with the Bifrost altar/console thingy. It is fundamentally an elaborate base that shoots a pair of lightning projectiles when Heimdall’s sword is inserted into the base. 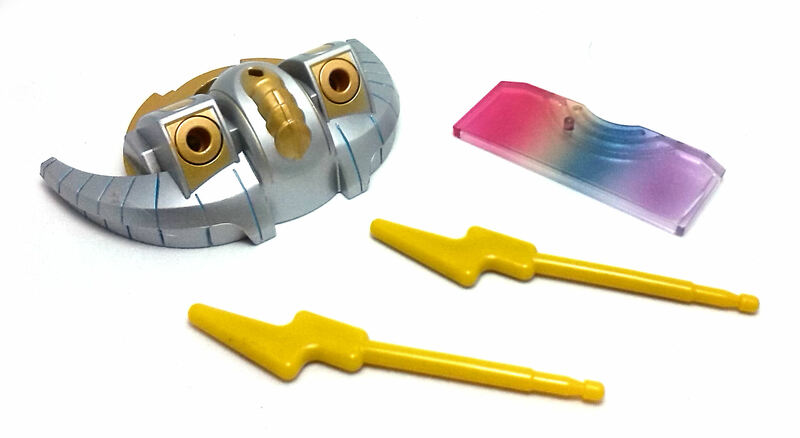 The piece looks interesting and the mechanism works well enough, even though those projectiles have to be the ugliest thunderbolts I have ever seen. Heimdall’s sword, on the other hand, is a really nice accessory. It has a nicely carved handle and it seems to be the right size to go with the figure. Right out of the package it was fairly warped, but dunking it in a cup of hot water fixed that in just a few seconds.